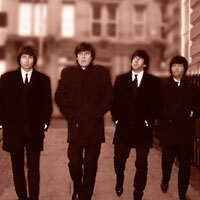 The Legends Show do the 60s classics including but not limited to the hits from the Beatles, Rolling Stones, Monkees, Cliff Richard and Roy Orbison. All are performed with spectacular quality with audience participation. An action packed theatre style production show, beautifully choreographed that will captivate and enthral you from beginning to end. 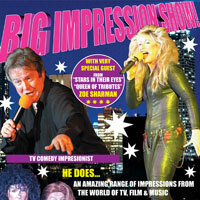 Performed by one of the most versatile and sought after tribute artistes in the UK, working around the world. She offers stage presence, audience participation, stunning costume changes, vocal impressions that are spot on and a portrayal of the original artiste that is second to none. Music is sung from Madonna, Anastacia, Shirley Bassey, Tina Turner, Celine Dion, Shania Twain, Kylie, The 60's Girls, Doris day, Connie Francis, Brenda Lee, Marilyn Monroe, Judy Garland, Dusty Springfield or Barbra Streisand. This act is a tribute to the great American Songbook including modern favourites by Michael Buble and hits made famous by Frank Sinatra and Dean Martin, suitable for Cruise Ships, Corporate Events, Weddings, Hen Parties and Restaurants. 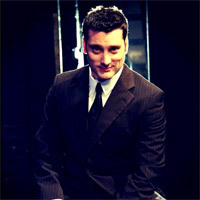 This tribute started his career in 1999 when he enrolled at the Academy Drama School, London. 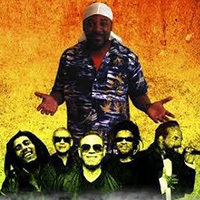 Since then, he has worked professionally as a singer and actor in various musical theatre productions including, A Slice of Saturday Night, Jesus Christ Superstar & Disco Inferno. 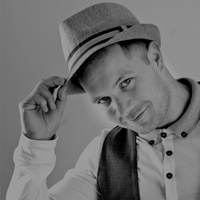 He has appeared in BBC's Eastenders and more recently Come Fly With Me. The Marvel of Motown is a classy, high-energy, solo show that spotlights some of Motown's best-loved material. Featuring all time greats from favourite Motown artists such as Stevie Wonder, Diana Ross and the Supremes, The Temptations and Martha Reeves and the Vandellas, this show is designed to get you on the dance floor and keep you there! This tribute provides all the grace, glitz and glamour required of a true diva. The Marvel of Motown's vocals have been described as sounding like "chocolate soul". She has a powerful, smooth yet expressive voice which attracts positive feedback wherever she sings. With a warm, inviting stage presence and charming persona, it’s hard not to be enthralled by her performance. 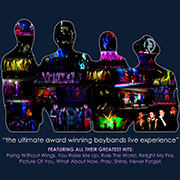 Tribute to the Boy Bands is a great way to have a mixture of the best UK Boybands of the 90's and 00's. They offer a live show experience as if you were at a real concert, no cabaret performances here! These guys are serious about their work and really enjoy what they do. 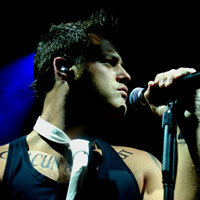 They can perform all the biggest hits of Boyzone, Westlife & Take That, 5IVE, 911, A1, Blue, One Direction, The Wanted and McFly. If there are any songs in particular you would like, then they will most probably be able to do it from their vast catalogue. 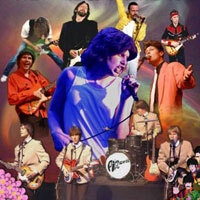 With some of the greatest hits of the 70's and 80's, this band packs two decades of music into one thrilling show! 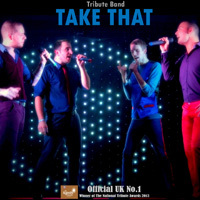 Performing hit after hit, the band can guarantee that you will know every song and every lyric too. You will taken on a ride of hits with the fashion and hair dos of the era to match! The band provides an impressive set up comprising of a huge star cloth, funky lighting and full PA system so you can put your mind at rest as the band are totally self contained. Into the 80s give 110% at each event they perform at and it is their mission that everyone has the best night out that everyone will talk about for a long time afterwards. The band are extremely friendly and professional and make it their mission to ensure your event is memorable. The team will work closely with you to ensure your occasion is a roaring success. A fabulous duo perform their multi girl tribute to some of the worlds greatest singers, including; Lady Gaga, Katy Perry, Rihanna, Shakira and Cheryl Cole! Step back in time with this superb tribute to the 70’s Carwash. This is one show you must see, if you want foot stomping, clapping, singing & dancing to some of the greatest music of our time. This show scores ten out of ten, so dress to impress, dig out the flairs and join us for the best party night of the year. 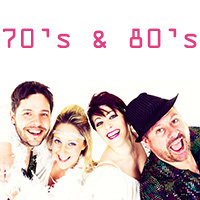 An action packed, fast moving fun loving show, designed to get people into the party mood. This show features hit songs from the Sizzling 70’s with all the classic floor fillers that are guaranteed to keep you dancing. 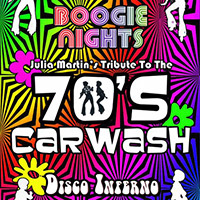 Boogie Nights, Grease, Abba, Disco Fever and Car Wash, you have it all, in one fabulous and entertaining show.